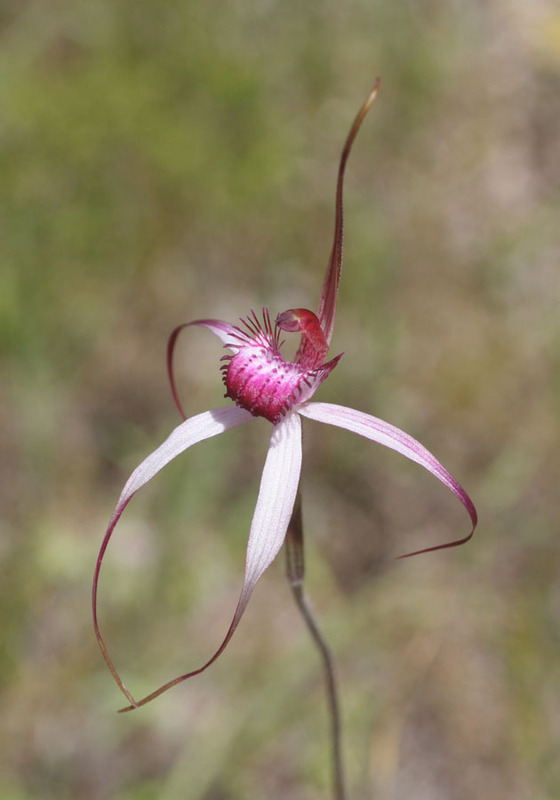 This beautiful orchid is one of four pink spider orchids found in Western Australia. 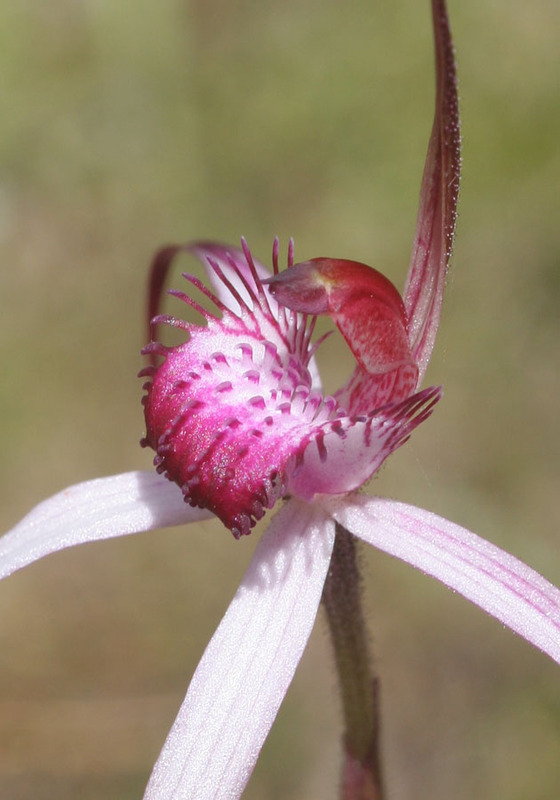 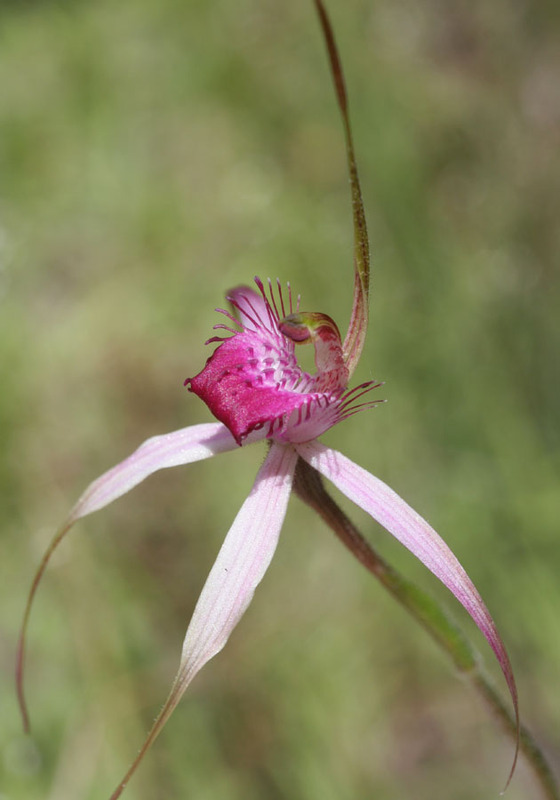 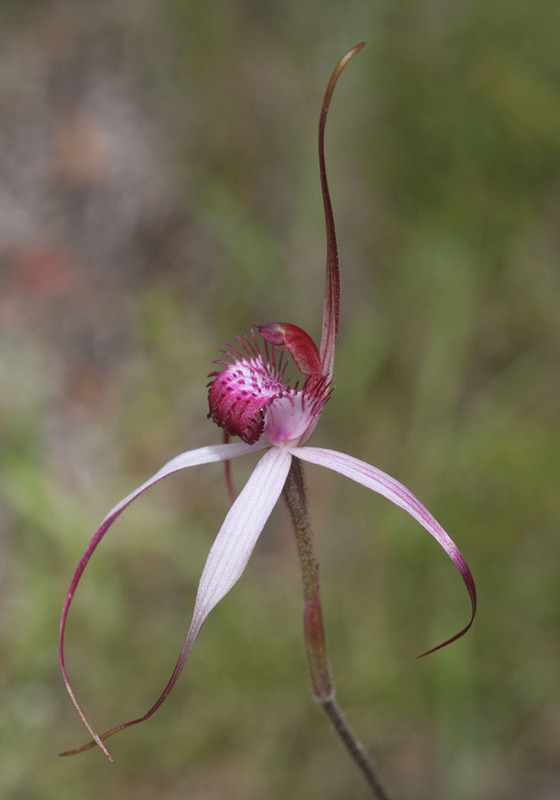 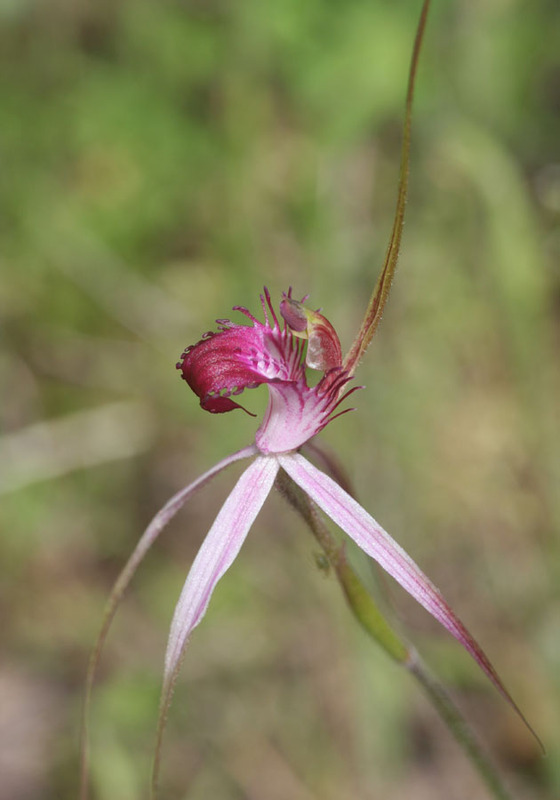 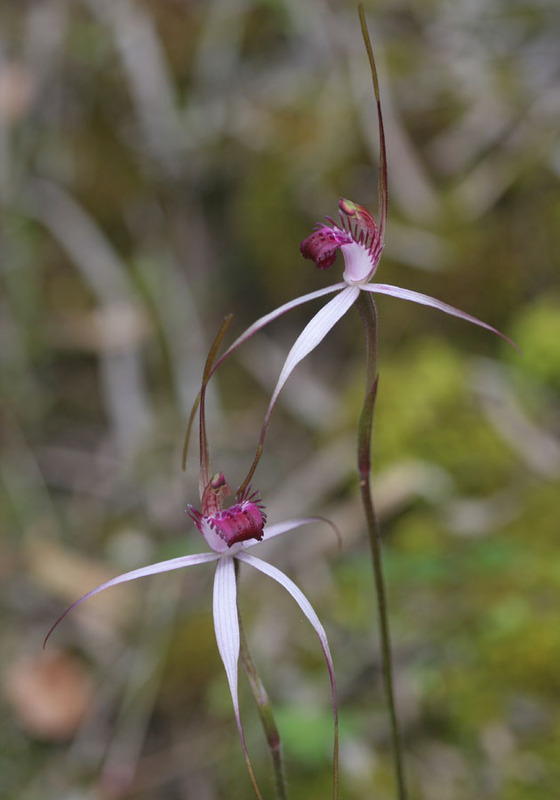 It is very similar to the Pink Spider Orchid, and is distinguished by its pale pink petals and dark pink labellum tip. 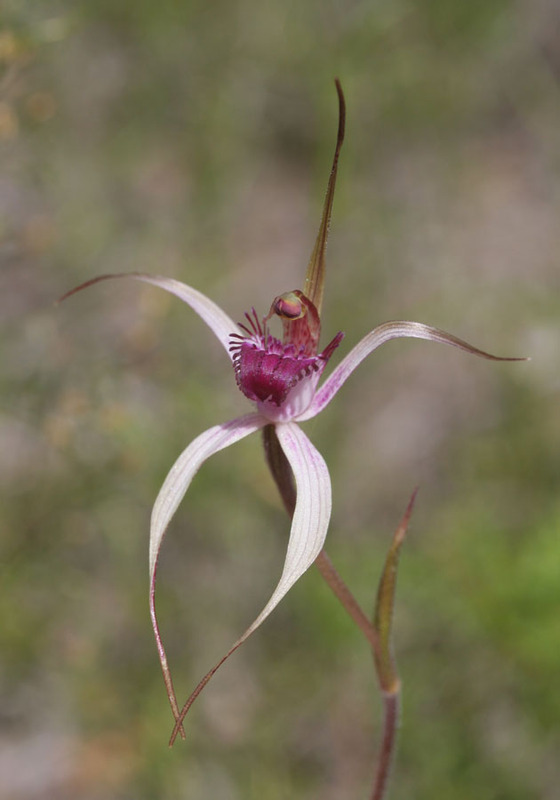 It is found in sand dunes between Cape Naturaliste and Walpole. 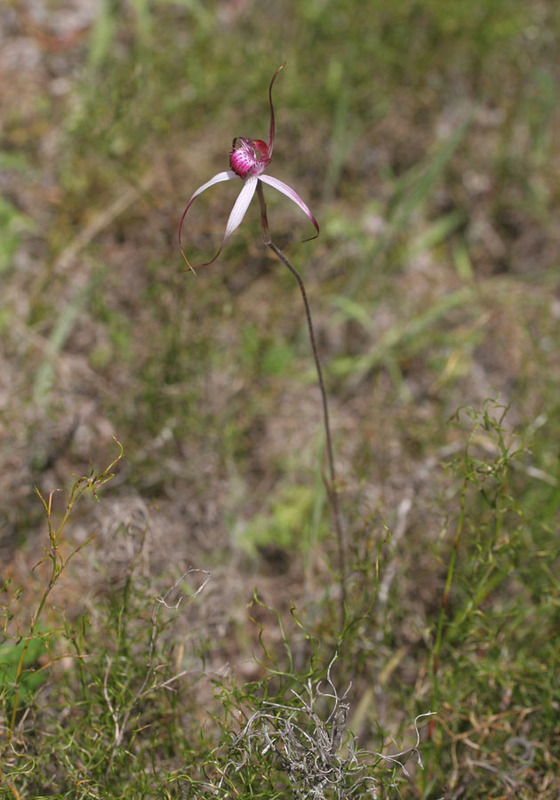 Each plant has one or two flowers each 6-9cm long on a stem up to 30cm tall.